Two Queen Deluxe Rooms feature two (2) queen size beds, a private bath, and full sized closet. 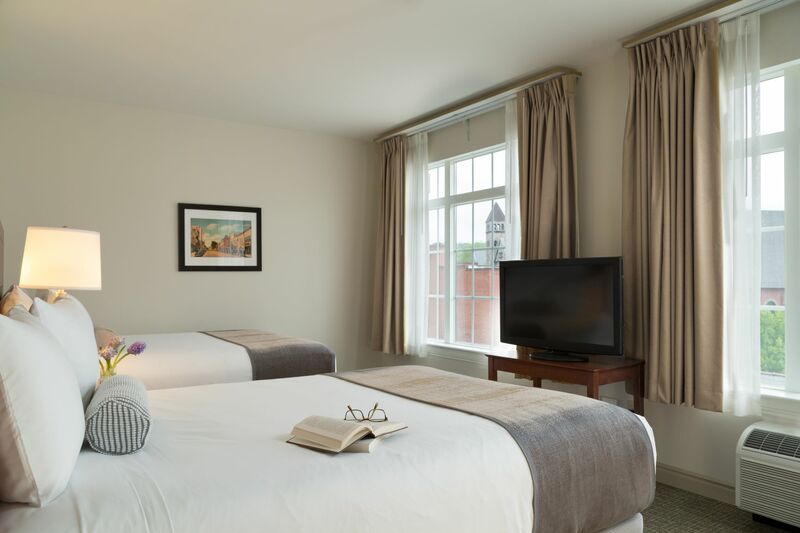 The 2nd set of windows provides this spacious room with views of the Courtyard and the Historic Carbondale Hillside. 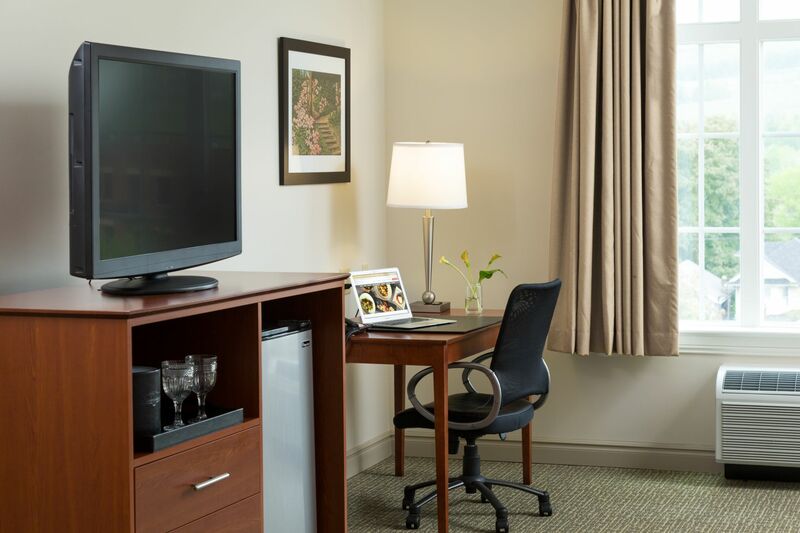 These accommodations are furnished with a desk with office chair, phone, WiFi flat-screen TV with cable.